A selection of reprinted front pages from Illustrated London News, taken from your chosen year presented in a personalised book. 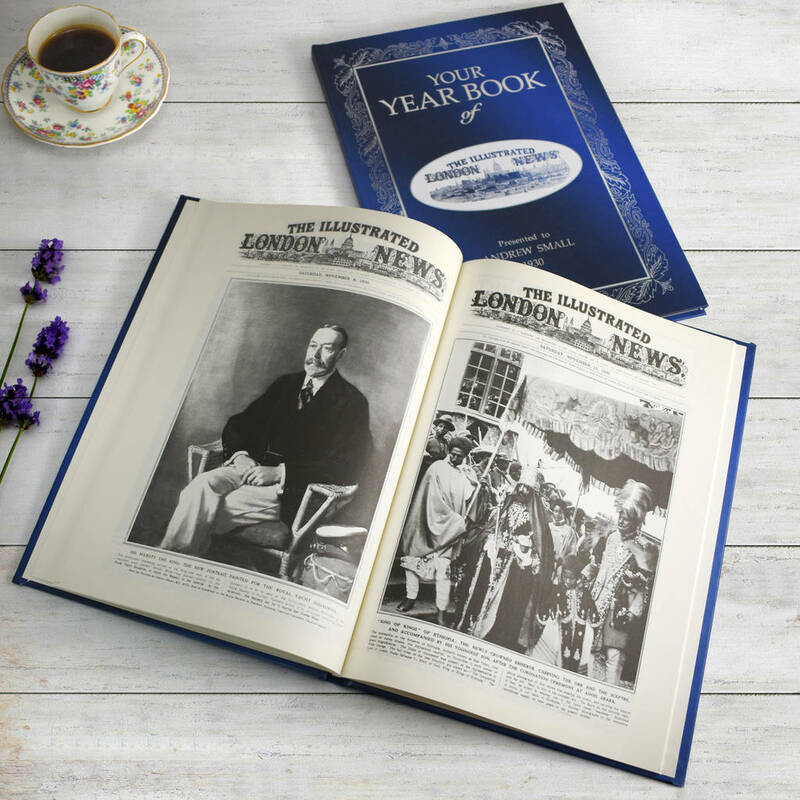 When Herbert Ingram, a Lincolnshire-born printer and newsagent, noticed his customers’ appetite for the latest news from London, and their preference for any paper or pamphlets featuring pictures, he decided to create London’s first fully-illustrated newspaper. Herbert Ingram’s magic formula ensured The Illustrated London News remained Britain’s pre-eminent illustrated periodical for almost 150 years. 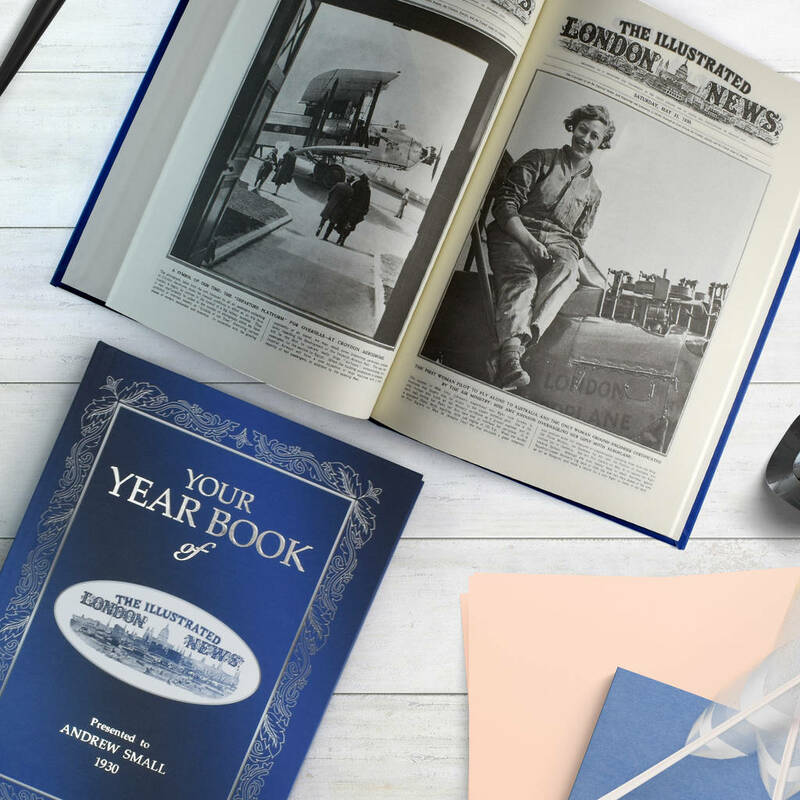 Today the preserved archive of the ILN remains an incomparable, inexhaustible and inspiring visual record of that remarkable period of history. 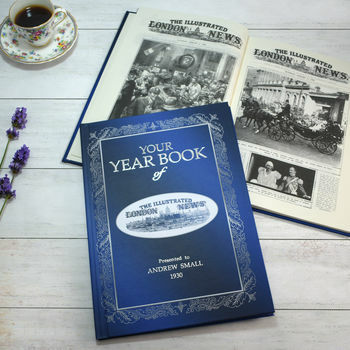 This unique book collects together every front page from your special year, followed by highlights from the ILN’s extraordinary historical archive. 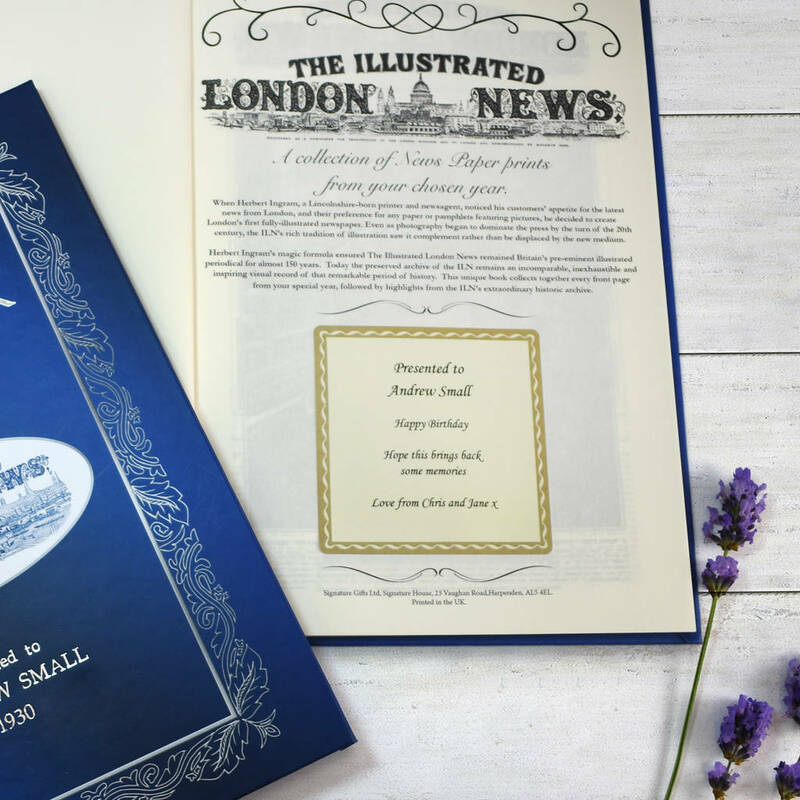 The book can be personalised with the recipients name and a name embossed on the front cover. A personal message of five lines can be included on the inside cover.